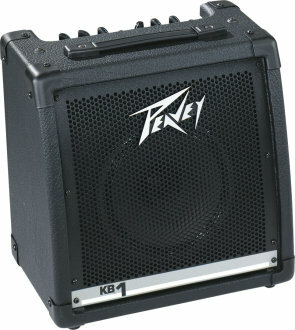 Beside being great for keyboards, the Peavey KB1 20 watt 8" amplifier works great with any stereo line-level device. $149.99 Seen a lower price? Basically a self-contained, compact sound system, Peavey's smallest KB series amp is perfect for voice, keyboards, acoustic and electric guitar, drum machines and backing machines. Available until 11 PM (EST) today. Mention special code 1ZT-TYF5 when you call.